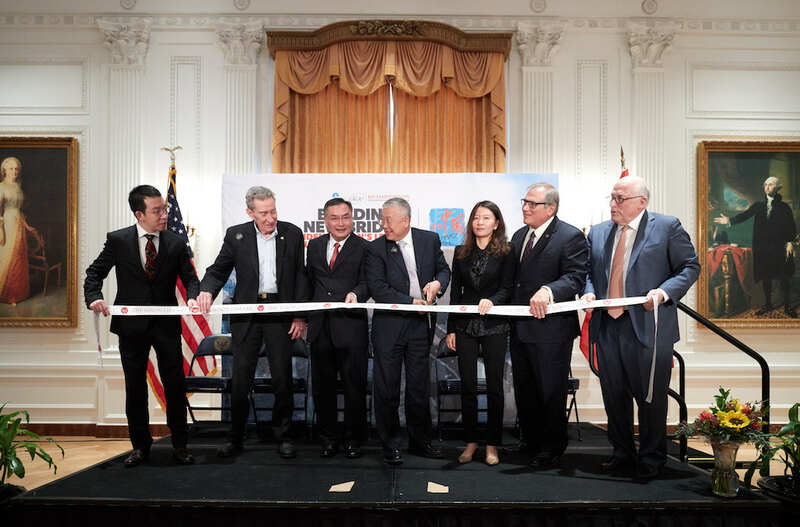 From left: Huang Heng, Xinhua News LA Bureau Chief; Ed Nixon, the President’s brother; Ambassador Zhang Ping, Consul General; Ming Hsieh, namesake of the Ming Hsieh USC Department of Electrical Engineering and Foundation supporter; Bingkun Ma, Assistant Director of the China National Tourist Office; Michael Ellzey, Nixon Library Director and Bill Baribault, President and CEO of the Nixon Foundation. 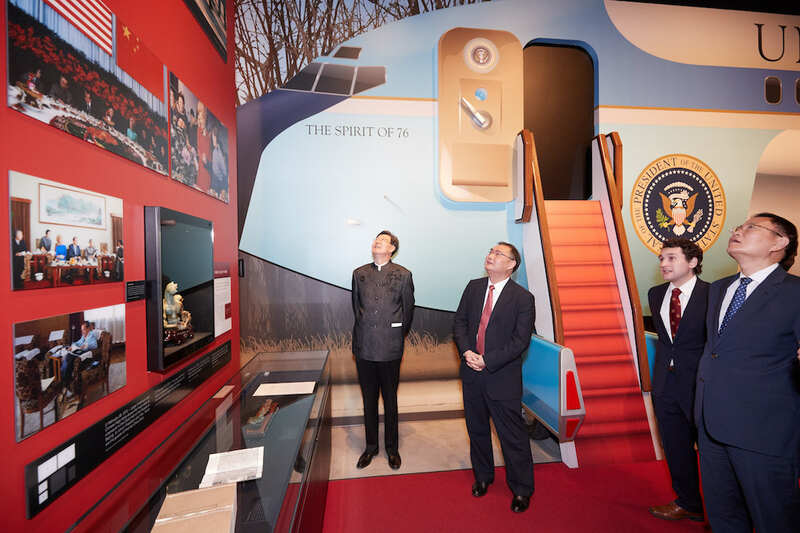 The photo exhibition, Building A New Bridge: President Nixon’s Legacy in Three Chinese Cities, explores how the Chinese cities of Beijing, Shanghai and Hangzhou have advanced in the 46 years since President Nixon’s groundbreaking visit to China in 1972. 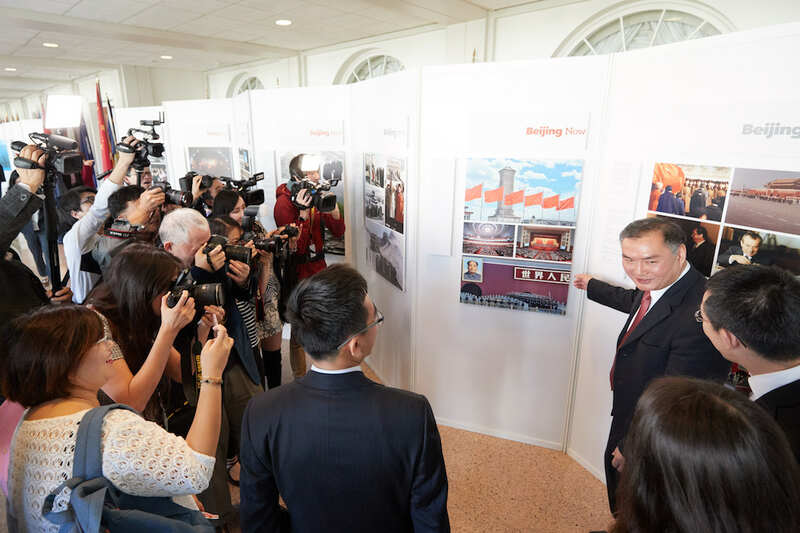 The exhibition features a compilation of 95 iconic images sourced from the U.S. National Archives and Records Administration and the archives of Xinhua News Agency. 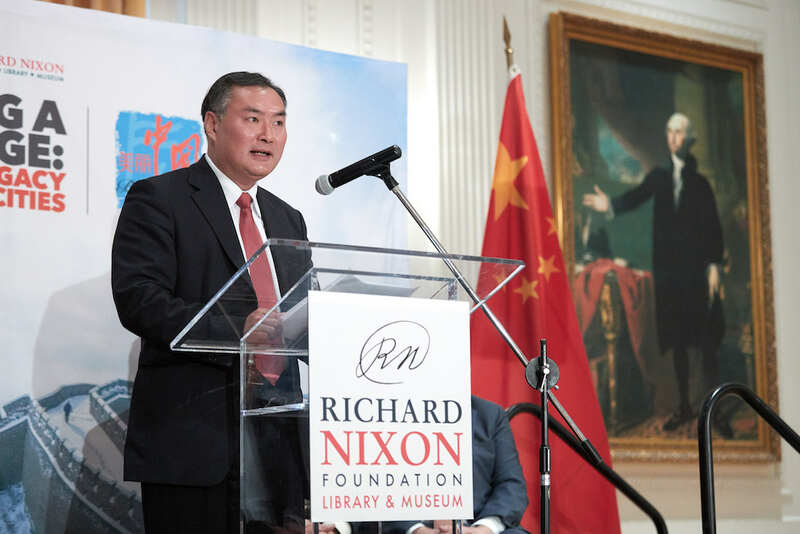 The opening ceremony on January 22, 2018 featured remarks by Ambassador Zhang Ping, Consulate General of the People’s Republic of China in Los Angeles; Ed Nixon, President Nixon’s brother and Nixon Foundation board member; and William Baribault, President and CEO of the Nixon Foundation. 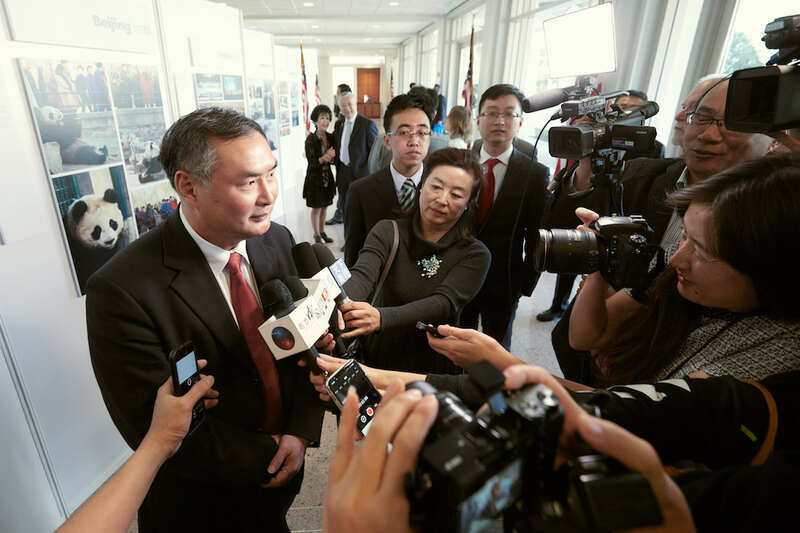 Click here to read the Consul General’s remarks. The exhibition will be on display through February 1, 2018. “What we have said today is that we shall build that bridge. 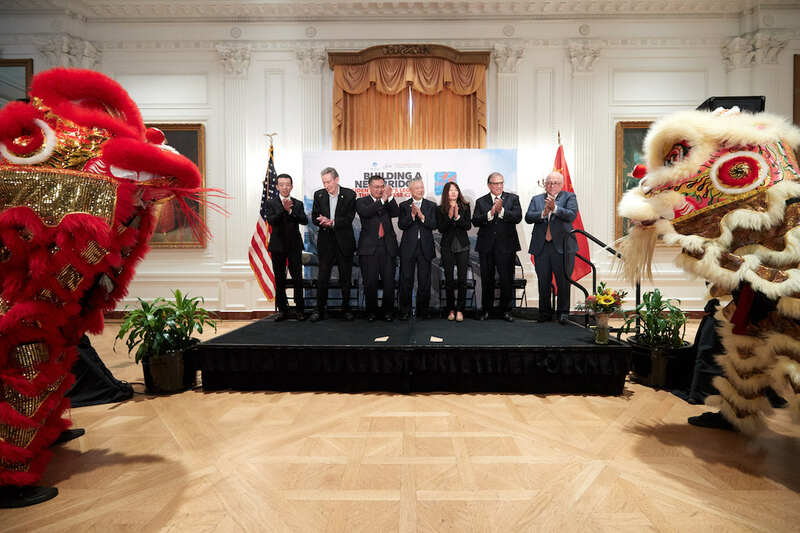 And because the Chinese people and the American people, as the Prime Minister has said, are a great people, we can build that bridge.” —President Nixon in a toast at a banquet in Shanghai, February 27, 1972. On July 15, 1971, President Nixon — broadcasting live from studios in Los Angeles — sent a tremor through the Cold War world, announcing that he’d be visiting the People’s Republic of China early the following year. Through carefully coordinated public and private signals to the Chinese leadership, President Nixon aimed to establish a new strategic framework built on peaceful relations with Beijing and stability in Asia, and a relaxation of Cold War tensions with the Soviet Union. President Nixon felt that philosophical differences and geographical distance shouldn’t prevent the United States and China from finding common ground and achieving a lasting peace. 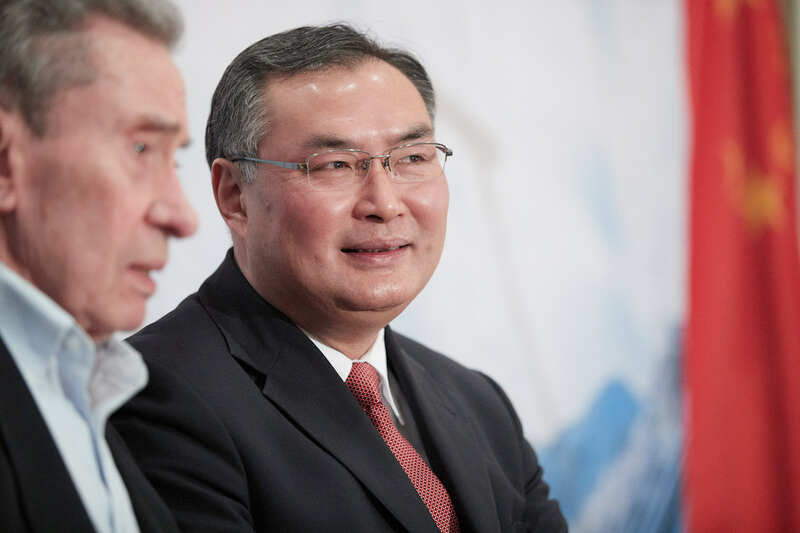 He stepped off Air Force One on February 21, 1972, extended his hand to Premier Chou en-Lai, and ended nearly a quarter-century of non-communication. 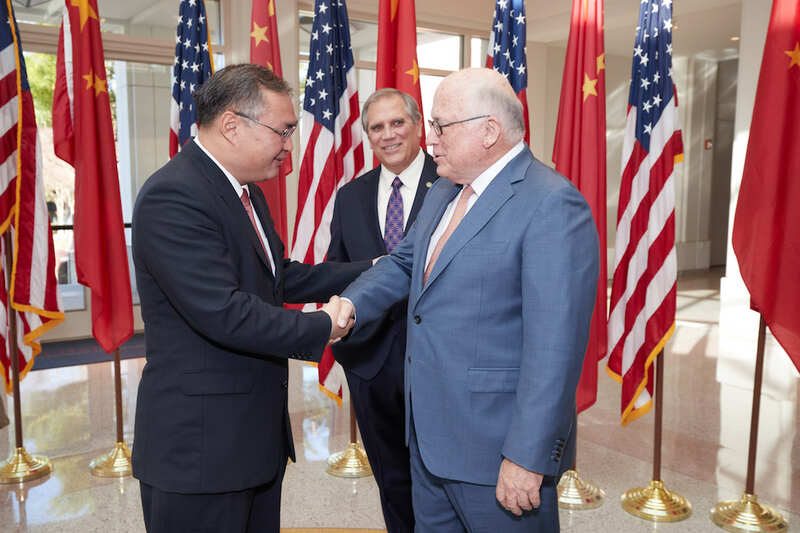 The trip’s enduring legacy is the continued peace and progress felt by Americans and Chinese today; and the partnership has especially thrived where it matters most – the friendship between the people of both countries. 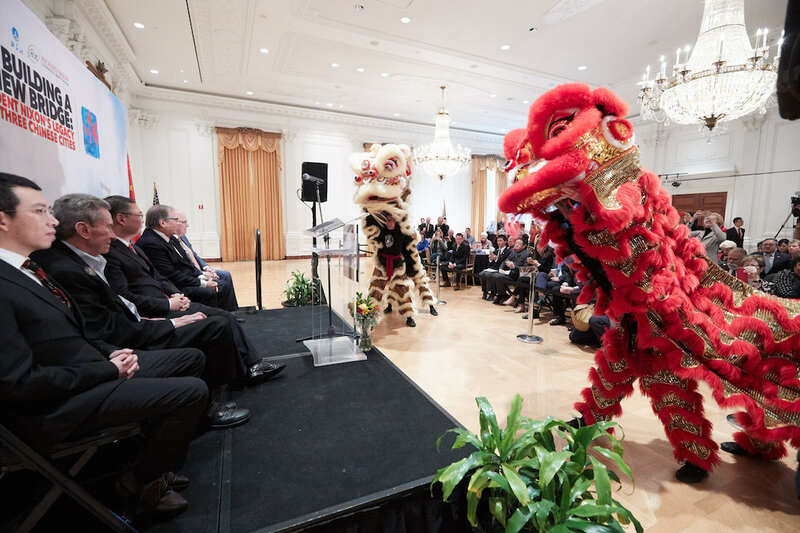 Through a flowering of exchanges in commerce, culture, arts, and education more than 9,000 people travel between America and China each day, following in the spirit of goodwill and the bonds of respect inspired in 1972.